The Conscience of the King is one of the least celebrated but one of the best ever episodes of Star Trek. At least that what we think. In this episode of Whom Pods Destroy, Terry, Derek and Graham discuss this multi-layered play within a TV play from the first season of The Original Series. 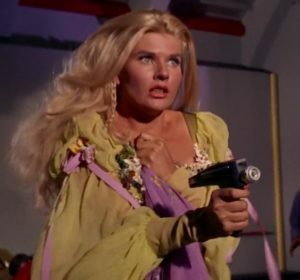 They also ask if Lenore Karidian should be considered as one of the great villains of Star Trek.